Thursday 9/22, the Riverfront Park Social Club will host the third annual Movie Night. 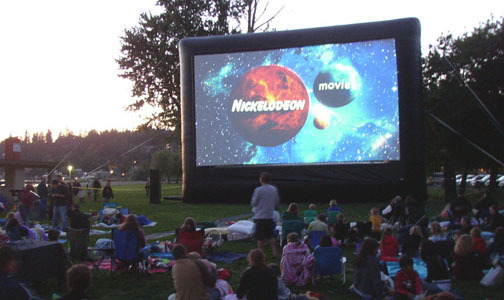 A huge inflatable screen will be set up in the park behind the Riverfront Tower building. Residents bring their comfy chairs or a blanket and enjoy free popcorn while watching a movie outdoors. We will be showing X-Men: First Class starting at sunset. This event is sponsored by the Riverfront Park Community Foundation. This is a great way for neighborhood residents to meet, mingle and enjoy the beautiful fall weather. I hope to see you there at 7:00, don’t forget that coolers are welcome!